Dr McDougall’s wife Mary’s Festival Dal Soup is delicious. 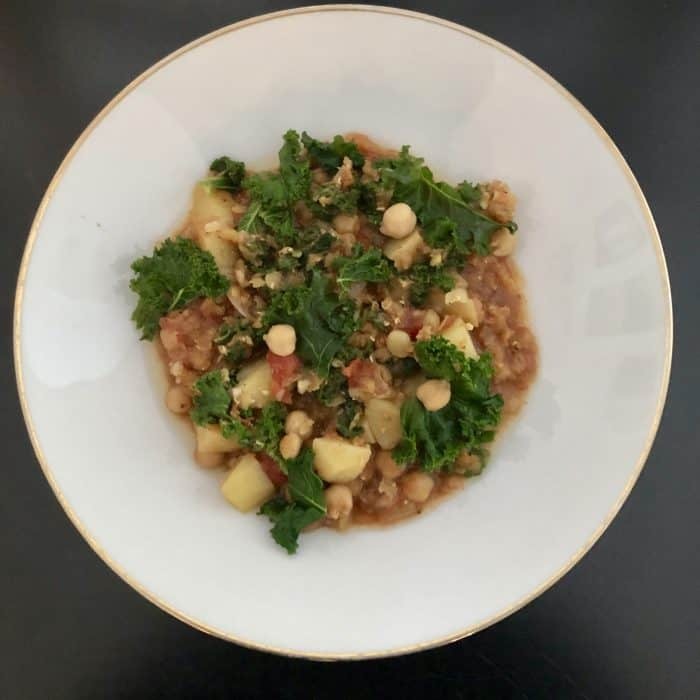 I added 2 cups of diced potatoes to her recipe with 4 cups of shredded kale for the win. With the addition of potatoes it’s a 1 point bowl of goodness. The extra 2 cups of potatoes ups the yield from 4 to 6 bowls. You could get creative and mix the sambal oelek with the IP Cheez Sauce from Little Blue Plates for everyone to add themselves. It gives the dish a real creaminess. My goal moving forward is to increase starches in my food plan. 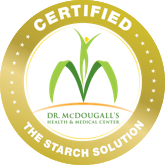 Have you read The Starch Solution? It all makes perfect sense.